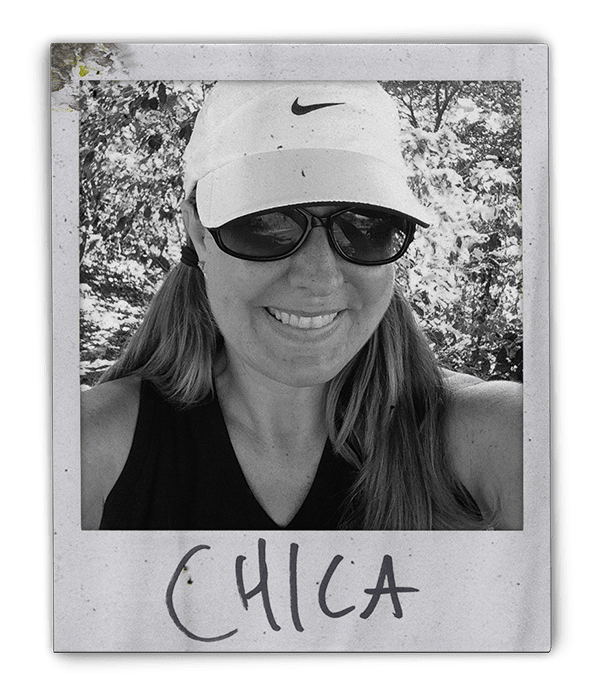 Why We Quit Our Jobs and Moved to Costa Rica — Outdoor Evolution | Explore. Create. Inspire. Outdoor Evolution | Explore. Create. Inspire. My husband Greg likes to say we are quitters. And though he’s not often right, he is correct in this case – we both quit our corporate jobs in 2013 when we were in our early 40s. We gave up stable income and sold virtually all our possessions – including a huge house, a boat, two cars, a grand piano, and a whole lot of furniture and excess “stuff.” And then to top it off, we moved to a foreign country! Downsizing was the best decision we ever made. When Greg and I first started talking about it, I thought to myself, well this is exciting to talk about, but there’s NO WAY we’ll ever really do it. I mean – who actually leaves successful careers and moves to a foreign country with no plan of working before retirement age? Well, it turns out – we do! Back in 2011, as my husband’s management job became more and more stressful, I became increasingly worried about him, and the frequency of discussing this crazy dream-thing increased. Of course there were other reasonable options; the most obvious being that he could quit and find a new job elsewhere. But he knew it would be in the same field and end in the same scenario. I worked in the commercial title insurance industry and while my job was stressful at times, I otherwise enjoyed it. However, what I did was just that – a job. Something I drove to each weekday, sat in my cubicle at all day, and got paid for accordingly. The thought of giving it up to do something more exciting was a bit scary, but also very enticing. Greg was the Vice President at a litigation support company. He managed a staff that included a sales team as well as a production team in an industry that operated 24 hours a day, everyday. Oh, and his clients were all trial attorneys. He was stressed with working too many hours and it was taking a toll on his mental and physical wellbeing. Added to the stress of managing 50 people, were rumors that the company was going to be bought out. Not only was the uncertainty and strain effecting Greg personally, it was affecting us as a couple. It was the first time in our marriage that I felt helpless. Something big had to change. We started seriously considering moving to a foreign country. Why a foreign country? Well, healthcare costs, for one. Also, we were afraid the lifestyle we were used to in the States would be very hard to cut back on if we continued to live in the same environment. We did talk about moving elsewhere in the States, but felt we’d get trapped in the same circumstances. We needed a big change, and moving to a foreign country was it. And why not? Greg and I were both in relatively good health; although Greg had high blood pressure, we hoped it would correct itself after he was removed from the stressful environment. We wanted to do this now while we still could and enjoy ourselves. So many people work until age 60 or longer, and once they retire are in such poor health, that they don’t get to enjoy not working anymore. Both of our fathers had a big influence on our decision as well. My dad died at 59 from cancer, with no enjoyment of retirement whatsoever. He did take an early retirement the year before he died, but there’s no way he enjoyed it recovering from chemo and worrying about his cancer coming back (which it did). Greg’s dad had been in poor health for a while, but was amazingly still working part-time. Unfortunately, we knew his days were numbered; diabetes had affected both his feet so he could not walk, he’d had several heart attacks, and most recently experienced kidney failure, which had put him on dialysis. • It’s not too far distance-wise from the States (only a 4 hour plane trip from Dallas, especially if we needed to come home quick for Greg’s dad). • The time zone is the same as where our families lived (central time) – except Costa Rica doesn’t practice daylight savings time. 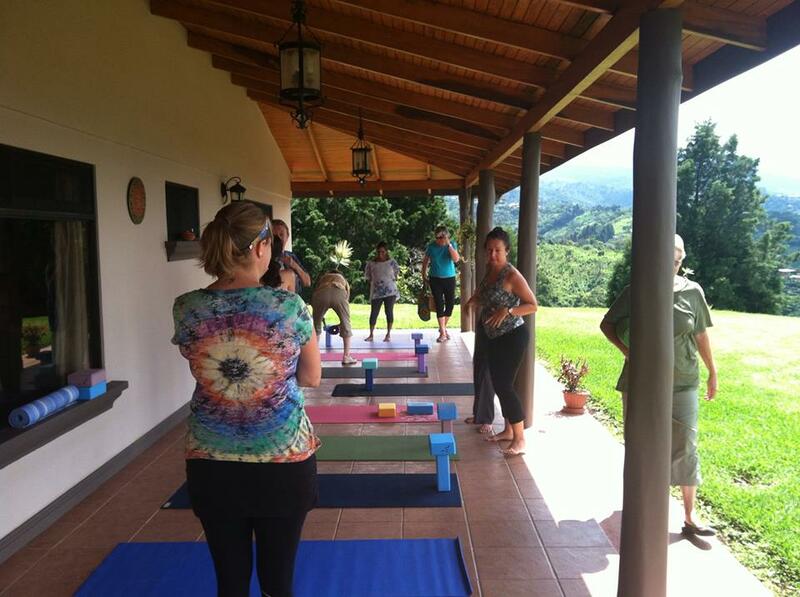 • Costa Ricans (Ticos) are known to be welcoming and friendly to Americans. • They have a stable and peaceful government (no army since 1948!). • They have good infrastructure (fancy word for good/affordable healthcare and easy internet access throughout the country). • Spanish is the main language and we heard that most Costa Ricans speak at least some English. Greg and I did not know any Spanish, but felt it might be easy to learn. • There are affordable fully furnished houses for rent. • Crime seemed to be relegated to petty theft unlike the drug cartel/kidnapping issues that plague several Latin American countries. We did a lot of online and book research, and decided the next step was to take a trip there, as neither of us had ever been. We asked my mom (who’s a world traveler) if she’d like to join us, and she jumped at the chance. She’s great to travel with, plus we wanted her to see firsthand what we were considering and offer any opinions or questions that we might not think of (what’s better than a Mom’s advice?). We visited in January of 2012 and traveled to three different areas of the country: the central valley, the western Pacific beach, and a northern lake area. We rented an SUV and packed a ton of due diligence into 10 days. 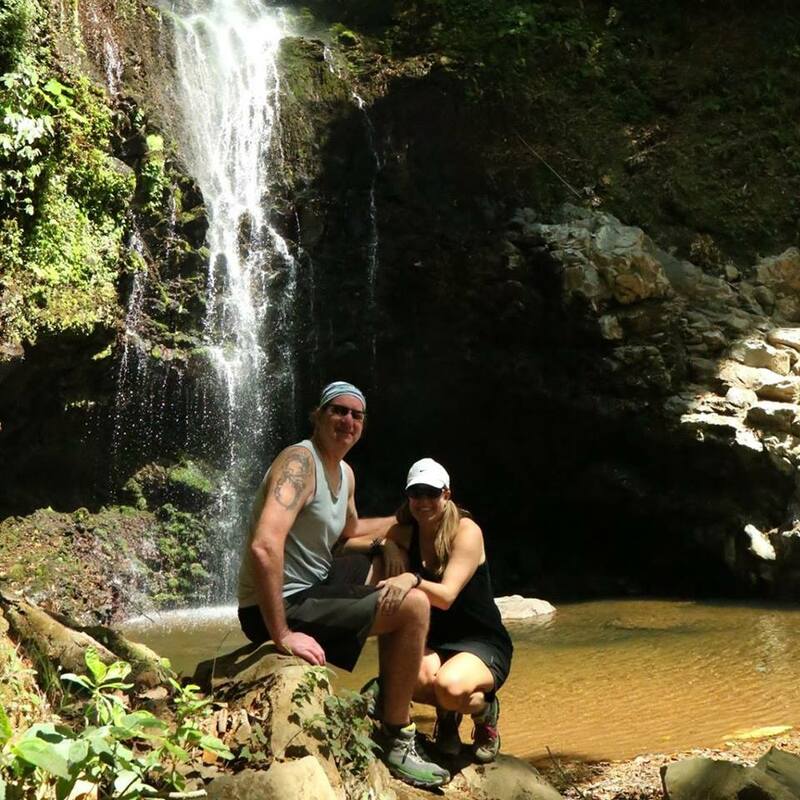 We had an amazing trip and loved Costa Rica! With our first trip under our belt, and much discussion and thinking about things, we finally decided together that – YES, WE WANTED TO DO THIS. It still seemed crazy, but it was exciting, and it would be an adventure! And hey – if it didn’t work out or we didn’t like it for some reason, we could always move back or do something else. We weren’t moving to Costa Rica to live there for the rest of our lives necessarily, but why not see where it would take us? With our decision made, we slowly and methodically went about saving as much money as we could and sold all of our possessions. A few things were a little hard for me, but overall it was very freeing to get rid of all this “stuff” we’d accumulated over the years. It felt better and better with each thing we sold. I didn’t want to define myself by the house I lived in, the type of car I drove, or the designer purse I carried. Enough was enough. We moved to Costa Rica and lived in the central valley for four years. It was a dream come true. 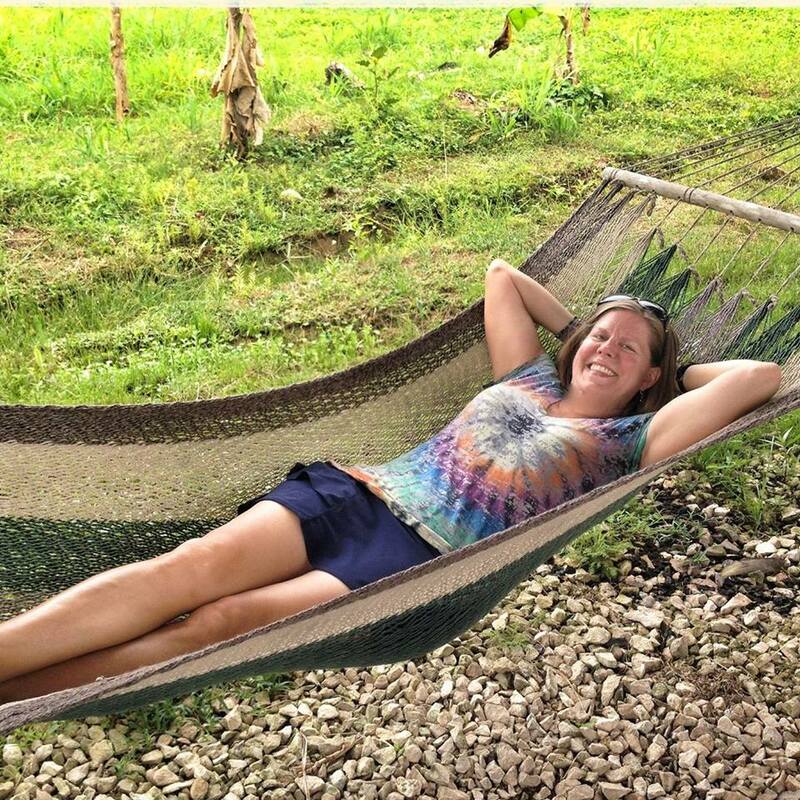 Costa Rica taught us how to live modestly and enjoy the simple pleasures of life. Like a squawking flock of parrots flying overhead. Drinking Costa Rican coffee on our patio overlooking our million-dollar view of the central valley. Waking up next to each other with the sunrise instead of an alarm clock. We used our newfound time to do things we wanted to do. Greg got into photography, writing and hiking. He lost weight and his high blood pressure normalized. I started writing, hiking and practicing yoga. I began eating better and cooking more. I started making my own jewelry; and when I found out others wanted to buy it, started selling it. We both spent more time outside, and used our legs to walk more (it helped that we didn’t have a car). We went to the farmers market each week and used as much Spanish as we could. We made friends with expats and Ticos alike. We started hiking together every morning. I started to feel strong, healthy and became more laid back and relaxed than I used to be. Costa Rica taught us other things, as well. Like how we really could live simply with very few possessions. It taught us to experience life more, and go with the flow. Instead of being rich with money, we are now rich in happiness. And life is so much better this way! We have since left Central America and are now based in the US, but we have taken the lessons we learned with us. We spent 6 months thru-hiking the Appalachian Trail and most recently spent a month and a half in Europe walking the Camino de Santiago. While our life feels like a dream, it is no fairy tale. Still, I believe if we continue chasing adventures rather than stuff, we will live happily ever after.